I had a bunch of celery in my refrigerator that needed to be used before it was useless and it suddenly occurred to me I could juice that whole bunch for a few refreshing cocktails. 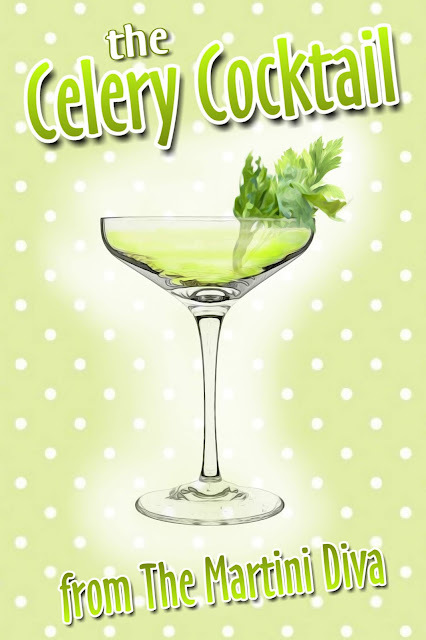 I have no idea why I have not juiced celery for a cocktail before, I love celery and the juice is very healthy for you. I also decided to make use of the rest of the cilantro I had to make a simple syrup to go in my celery cocktail. Boom, two things that didn't get thrown away and a new cocktail for happy hour! I know there are a lot of you out there that do not like cilantro. If that's the case, just use plain simple syrup in this recipe. DIRECTIONS Make your Cilantro Simple Syrup ahead if time so it's cool. In a mixing glass filled with ice, add the ingredients then stir until well chilled. Strain into a chilled Coupe, garnish and serve. DIRECTIONS In a medium saucepan, combine the sugar and water and heat, stirring constantly, until the sugar has dissolved. Once the sugar has dissolved remove from the heat and add the chopped cilantro. Allow the syrup to cool for 30 minutes, then strain the syrup through a fine-mesh sieve then toss the solids. Store for up to 2 weeks in the fridge.